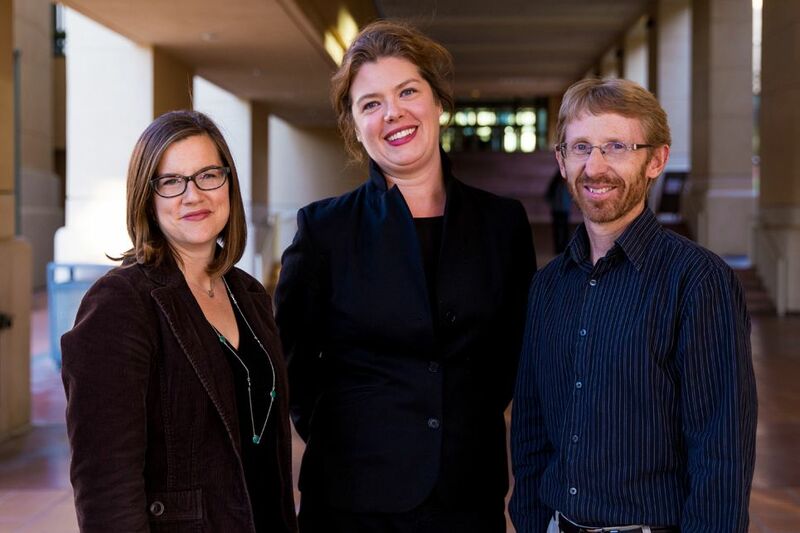 The CIE Faculty Fellows are growing the entrepreneurship culture at Cal Poly. 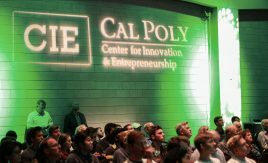 Within each of Cal Poly’s six colleges, CIE Faculty Fellows incorporate innovation, and entrepreneurship into their coursework, serve as CIE ambassadors within the college they represent and help guide students through various entrepreneurial career paths. Dr. Erik Sapper is an Assistant Professor in the Department of Chemistry & Biochemistry at California Polytechnic State University, San Luis Obispo. 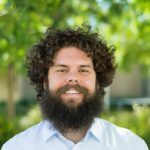 Prior to joining the faculty at Cal Poly in 2016, Erik was a group leader, project manager, and materials engineer in the aerospace industry, where for six years he led international research teams in the development of novel polymeric materials and coatings for aerospace applications. Now at Cal Poly, Erik’s research focuses on the autonomous and computationally-driven discovery and design of new materials for coatings applications and polymeric materials. He and his research team are based out of the Kenneth N. Edwards Western Coatings Technology Center in the College of Science and Mathematics. Erik’s work has been published in the Journal of Coatings Technology and Research, Progress in Organic Coatings, Coatings, and Materials & Design, in addition to multiple trade journals, book chapters, and international patents. 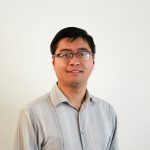 His work on the modeling, performance prediction, and computational design of new coating materials have received multiple recognitions from the American Coatings Association. Erik is passionate about creating industrial and entrepreneurial project opportunities for students. Design Thinking sprints, flipped classrooms, student-proposed and -managed research projects, patent application lab reports, and business plan drafting are some of the activities and assignments included in his chemistry courses. Erik is eager to further encourage interdisciplinary entrepreneurship across the Cal Poly community by serving as a CIE Faculty Fellow. 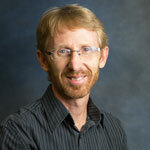 Dr. Michael D. Whitt is currently instructing in the Biomedical Engineering Department. His academic and industrial experiences include academic positions with the Mendoza College of Business at the University of Notre Dame, Miami Dade College, and Purdue University, in addition to experiences with Fortune 500 pharmaceutical and medical device companies. He is a Founder of a medical device start-up, Cordex Systems, Inc., which has developed a noninvasive early detection method for cardiovascular disease. Michael’s educational background includes a Bachelor of Science in Chemical Engineering from Purdue University, a Master of Science and Doctorate of Philosophy in Biomedical Engineering from Rutgers University/University of Medicine and Dentistry of New Jersey (UNDNJ), and a Masters in Business Administration from the UCLA Anderson School of Management. While at Rutgers/UMDNJ, Michael focused his studies in the areas of biomechanics and biomaterials while simultaneously performing research in the areas of medical instrumentation and hemodynamics. Michael is a patent holder of US and international patents and has carried the importance of product development into his involvements with the non-profit organizations Center for Leadership Development (Indianapolis, IN) and Academy of Business Leadership (Rosemead, CA) while helping to facilitate the success of each group’s mission to ‘foster the advancement of minority youth in central Indiana as future professional, business, and community leaders’ and develop youth that will become ‘the agents of change needed to make a difference in their communities, schools, and world.’. Michael is the 2008 Center for Leadership Development Achievement in Science and Technical Disciplines Award Recipient. Michael is committed to the development of opportunities to contribute to students, healthcare clinicians, and community members. Dr. Bo Liu is an assistant professor in the BioResource and Agricultural Engineering Department at Cal Poly. He received his doctoral and master’s degree from the University of Missouri – Columbia. He teaches coursework in the areas of electronics, sensors, data acquisition systems, and robotics, and conducts research in emerging information technologies, and mechatronics applications in agricultural production and processing. Dr. Liu believes that entrepreneurship plays a very important rule in the foundation of the “Learn by Doing” philosophy of Cal Poly. He wants to teach courses that can provide Cal Poly graduates with the knowledge, skills, and motivation to encourage entrepreneurial success, and shift their mindsets from being job seekers towards being job creators. Dr. Ahmed Deif is an assistant professor of operation and process improvement at the Industrial Technology & Packaging dept. at the Orfalea College of Business. 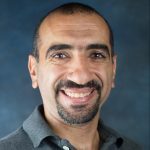 Before joining Cal Poly, Dr. Deif was an assistant professor at Universities of Regina and Windsor in Canada. Dr. Deif received his Ph.D. and M.Sc. in Industrial and Manufacturing Systems Engineering from the University of Windsor, Canada. Dr. Deif has a diverse portfolio in his industrial experience ranging from automotive industry where he worked at the R&D centre at Chrysler Canada to steel industry to electronic industry and finally assembly industry at various engineering and consultancy capacities. As a lean and six sigma certified expert, Dr. Deif helped various industries in improving their production performance in different countries. Dr. Deif is planning to create interest through his the CIE fellowship in innovative value chains as an emerging entrepreneurial field. Furthermore, he will employ his gamification approach in teaching various CIE activities. Philip Barlow has served as a full professor faculty member in the Construction Management at California Polytechnic State University, San Luis Obispo, California for the last 12 years. In addition to being a full-time faculty member, he also currently serves as the Cal Poly CM Department Co-op & Senior Project Directors. He has a PhD from the University of Florida in Construction Management, an M.B.A. in Finance with a concentration in Real Estate from Golden Gate University in San Francisco, and a B.S. 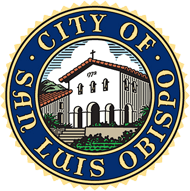 in Construction Management from California Polytechnic State University, San Luis Obispo. Phil previously amassed nearly twenty years of construction field experience working ultimately as a senior project manager for Webcor Builders and a senior construction manager for 3D/I now Parsons Corporation. Phil holds several certifications in construction management related fields including; California Contractor License ‘B’, California Mortgage Brokers License, DBIA – Design Build Professional, AIC – American Institute of Constructors – Certified Professional Constructor, GBIC – Leadership in Energy and Environmental Design (LEED- AP), and AACE – Association for the Advancement of Cost Engineering – Certified Cost Consultant. 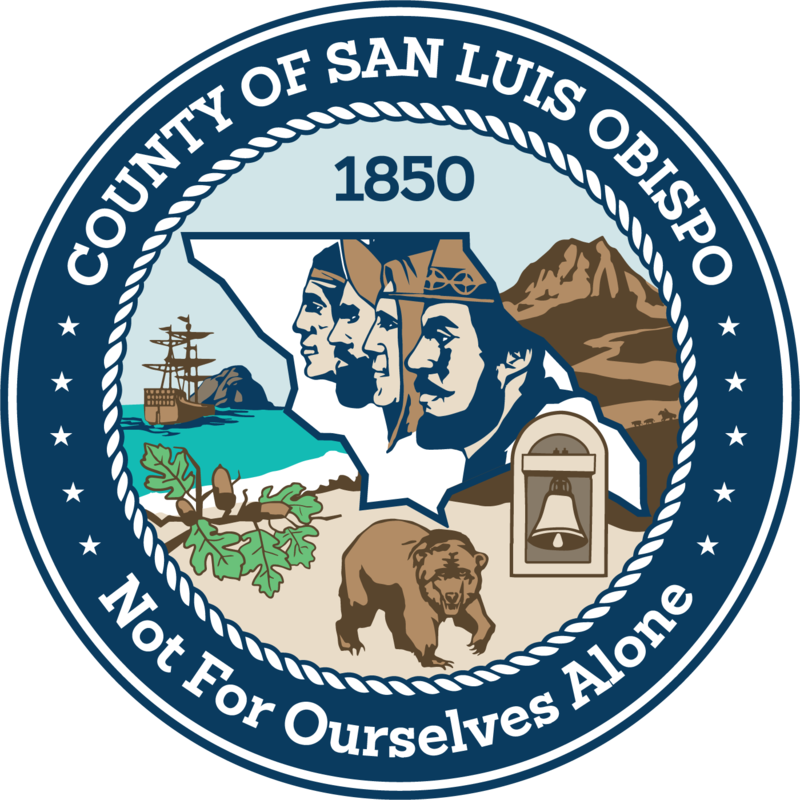 Phil has received teaching awards from Cal Poly, the Associated Schools of Construction (ASC), Association of General Contractors (AGC) and Construction Management Association of America (CMAA). Stern Neill is a Professor of Marketing at the Orfalea College of Business where he offers project-based courses in customer research and new product development and launch. As a scholar, his research is on marketing insights and innovation and examines how individuals (entrepreneurs and executives) and organizations (new ventures and businesses) develop new insights and engage in innovative behaviors in complex, ambiguous and uncertain situations. As an educator, his purpose is to guide students in developing and applying competencies that support insight and innovation, as revealed and demonstrated in his scholarship. This research is published in academic journals, including Entrepreneurship Research Journal, International Journal of Entrepreneurial Behavior & Research, and Journal of Business Research. He also conducts field research in China and the South Pacific. Dr. Neill received his PhD in Business Administration from Louisiana State University. He joined the Cal Poly faculty in 2008 after eight years at the University of Washington, Tacoma. 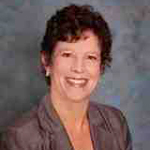 Lynne A. Slivovsky (Ph.D., Purdue University, 2001) is Professor of Electrical and Computer Engineering at California Polytechnic State University, San Luis Obispo, California. She received the Frontiers In Education New Faculty Fellow Award in 2003. Her work in service learning led to her selection in 2007 as a California Campus Compact-Carnegie Foundation for the Advancement of Teaching Faculty Fellow for Service-Learning for Political Engagement. In 2010 she received the Cal Poly President’s Community Service Award for Significant Faculty Contribution. Her work examines design learning in the context of engagement and the interplay between technology and society. 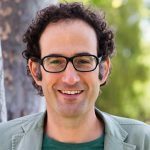 David Askay joined Cal Poly as an assistant professor in the Communication Studies Department in 2013, after earning an interdisciplinary Ph.D. in Organizational Science from the University of North Carolina at Charlotte. With an educational background spanning organizational communication, industrial-organizational psychology, management, and human-computer interaction, he teaches on topics ranging from teamwork, creativity, leadership, organizational control, digital labor, and sociotechnical design. Askay’s research primarily focuses on sociotechnical design that enables and constrains participation in crowd-based platforms. In a study of online review production on a hospitably website, he identified how to interface design and community norms inhibited the willingness of users to contribute negative reviews. Another study revealed hidden organizations that operate within the seemingly disconnected crowd of reviewers on Yelp. Currently, he is investigating organizational control strategies for managing digital laborers. His experience with innovation began as a participant in the Teams in Engineering Service (TIES) program at UC San Diego, in which he joined an interdisciplinary team to develop a technological system to improve the workflow of nurses. Inspired by this experience, he later helped to initiate a second TIES project to create a digital vision screening system for quickly and accurately identifying eye problems in children. As a CIE Faculty Fellow, Askay will be creating a Cal Poly Chapter of OpenIDEO, enabling ongoing opportunities for interdisciplinary teams of students, faculty, and staff to investigate, collaborate, and innovate around some of the biggest problems facing the world today. 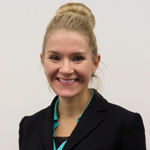 Dr. Taryn Stanko is an Assistant Professor of Management at the Orfalea College of Business. 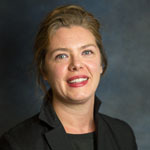 Prior to joining Cal Poly, Taryn was an Assistant Professor at the University of Oregon’s Lundquist College of Business. 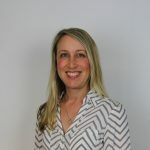 She currently teaches organizational behavior and negotiation at the undergraduate and graduate levels and her research has been published in outlets such as the Academy of Management Journal and Organization Science. Taryn’s research focuses on virtual work, work and non-work boundary management, and negotiation and gender. Before launching her academic career, Taryn worked as a manager at a startup that created customized business solution software and then for several years at Paramount Pictures in Los Angeles. She received a Ph.D. from the University of California, Irvine’s Paul Merage School of Business and an M.B.A. from New York University’s Stern School of Business. Through her past work experience, research, and time consulting with start-ups, Taryn has recognized that a negotiation is a critical tool for entrepreneurs. As a CIE Faculty Fellow, Taryn’s goals are to help founders become more effective negotiators via workshops and one-on-one mentoring. She will also be designing and teaching a new course on negotiation for entrepreneurs to students from across the Cal Poly campus. Graham Doig is an Assistant Professor in the Aerospace Engineering Department, where since 2015 he has introduced several new innovative project-based courses on numerical and experimental aerodynamics. He founded and directs the Fluids Laboratory for Interdisciplinary Projects (FLIP), which is both a research group and an on-campus, student-integrated consultancy for industry partnerships in aerodynamic testing and simulation (using the Low-Speed Wind Tunnel and High-Performance Computing facilities). Between his development of novel firefighting techniques using shock waves, and his involvement in two successful student-led international solar/electric land speed record attempts, Graham’s work has been featured in Wired, the Washington Post, the BBC, ABC, Popular Science, the Sydney Morning Herald, the New York Times, and many other outlets. A dual citizen of Australia and the UK, Graham has taught at UNSW Australia in Sydney, and has worked for AECOM, the Aircraft Research Association in England, and volunteered with the Taronga Conservation Society. He holds a Ph.D. from UNSW Australia, a Masters from the University of Glasgow, and a Graduate Certificate in University Learning and Teaching from UNSW Australia – Graham was named a 2012 American Australian Association Research Fellow in collaboration with the US Naval Academy. As a CIE Faculty Fellow, Graham is working to transform the co-curricular student organization he founded in 2015 – the Prototype Vehicles Laboratory (PROVE Lab). PROVE will shift from being a single-focus experience in record-chasing alternative energy vehicle design into a more open environment where students are supported in exploring creative (and potentially commercial) ideas relevant or tangential to future automotive technology, connecting them to the CIE’s programs such as Innovation Quest and the Hatchery. Graham is excited to partner with other faculty across campus to help make PROVE Lab a unique and dynamic engine for increasing student engagement with entrepreneurial activities. He also plans to use the fellowship to understand and help remove barriers to participation for students from under-represented backgrounds. Oh, and to break more world records while they’re at it. 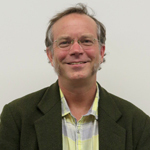 David Janzen is a Professor of Computer Science, co-founder of Steadfast Innovation, LLC, and consultant and trainer with Simex. 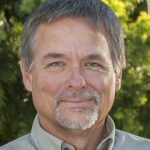 He has led the Cal Poly Software Engineering Capstone sequence since 2006, working with companies including Salesforce, Intuit, General Atomics, Amgen, and Scientific Drilling. He has helped numerous students start companies primarily from his Android mobile courses, most notably Punchd which was acquired by Google in 2011. These efforts earned him a “Most Likely to Make You a Billionaire” award from the student ACM chapter. His research has resulted in 28 publications and includes industry and NSF-funded projects focusing on Test-Driven Development and online learning environments. David co-founded Steadfast Innovation, LLC in 2012 at the CIE HotHouse with former student Andrew Hughes. They created Squid (formerly Papyrus – http://squidnotes.com), a handwriting note-taking app with well over two million downloads on Android and Windows. Squid has been featured on Google Play, Amazon AppStore, Samsung Apps, and Windows App Store, and received awards in the Samsung S-Pen Challenge and the Dual Screen App Challenge. David received his Ph.D. from the University of Kansas in 2006. Clare Olsen is an assistant professor in the Architecture Department and teaches design, materials, and digital technology courses. A dedicated educator, Olsen has also taught at Tulane University, Cornell University, and Syracuse University. In her studio courses, she strives to expand students’ understanding of design methods, representation, and research, and she encourages her students to endeavor to make contributions to the practice of architecture through innovative approaches to design problems. She’s excited about working with the faculty and students across many departments in the university through the Center for Innovation and Entrepreneurship. Olsen is a licensed architect and has worked in firms in Los Angeles, Stockholm and Salt Lake City. Since beginning her teaching career, she started her practice, C.O.CO., which has focused on installation and furniture design projects. Her installation, PROJECTions hovers in a lightwell in the School of Information Studies at Syracuse University, and Reflection glows in the stairwell at the Robert E. Kennedy Library at Cal Poly. Olsen’s recent research has focused on interdisciplinarity, computation, materials and design pedagogy. Her book, Collaborations in Architecture and Engineering, co-authored with engineer Sinead Mac Namara (Routledge, 2014) has received international acclaim. Through interviews with architects and engineers all over the world, Olsen and Mac Namara learned about innovations in working methods and design that were achieved through collaboration. Recognizing the huge rewards of interdisciplinary partnerships, she is eager to collaborate with faculty and mentor students through the CIE Fellowship. Olsen’s plans for the CIE Faculty Fellows program will center on the development of a major and a set of co-curricular courses on sustainable product design. Dr. Dale Dolan is the Hood Associate Professor of Electrical Engineering at Cal Poly. He has experience in renewable energy projects, power electronics, power systems, education and advanced motor drives. He is past Chair on the Board of Directors of Windy Hills Caledon Renewable Energy, past Chair of the OSEA (Ontario Sustainable Energy Association) Board and was an Executive Chair of the 7th World Wind Energy Conference 2008 (WWEC 2008). He is committed to making renewable energy a strong component of the world’s supply mix to reduce greenhouse gas emissions worldwide. He is currently working on commercializing a prototype power strip that saves consumers electricity and money when charging battery-powered devices without requiring users to change their behavior. As a CIE Fellow, Dolan will continue to develop and implement entrepreneurial modules into his coursework and continue research and development on an energy saving electrical outlet. 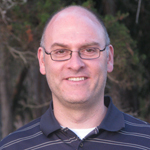 Brian Granger is an Associate Professor of Physics at Cal Poly State University in San Luis Obispo, CA. He has a background in theoretical physics, with a Ph.D. from the University of Colorado. His current research interests include quantum computing, data science, and interactive computing environments. 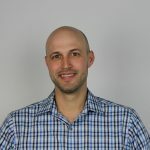 He is a leader of the IPython project, co-founder of Project Jupyter and is an active contributor to a number of open source projects focused on data science in Python, R, and Julia. He is a board member of the NumFocus Foundation. His time as a CIE Faculty Fellow focuses on building interdisciplinary courses and activities that combine data science with innovation and entrepreneurship. 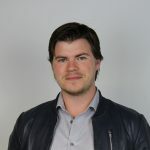 In particular, he will work to bring data science to a broad campus audience and work with CIE staff and students to develop a topic for one of the CIE Entrepreneurial Forum series. Find him @ellisonbg on Twitter and GitHub. Christiane Schroeter works as Associate Professor in the Agribusiness Department where she teaches various marketing classes. Christiane completed a Master’s degree at the University of Giessen, Germany and a Master of Science in Agricultural Economics at Kansas State University, where she was a Fulbright Scholar. She graduated with her Ph.D. in Agricultural Economics from Purdue University. consumers. For 6 years, Christiane has been actively promoting innovation and entrepreneurship in the College of Agriculture, Food and Environmental Sciences (CAFES) at Cal Poly. She has helped guide students in business plan development, and she has provided students with various professional networking opportunities. 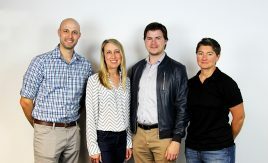 As a Faculty Fellow, Christiane is creating a course in CAFES that will connect students to the CIE innovation programs such as Innovation Quest (iQ), the Hatchery and the Accelerator program. 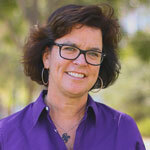 Lorraine Donegan is a professor in the Graphic Communication Department at Cal Poly San Luis Obispo. She is the coordinator for the Design Reproduction Technology concentration within the Graphic Communication department. One specific goal of Ms. Donegan’s teaching is to link design with technology, preparing students to understand the language and role of the graphic designer and the final product. Her teaching and research specialties include web development, typography, and design technology for books, publications and magazines. In 2013, Ms. Donegan was accepted into the Coleman Foundation Faculty Entrepreneurship Fellows program, which aims to extend self-employment education across university and college campuses throughout the U.S. 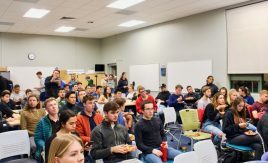 In 2014, with the help of the Center for Innovation and Entrepreneurship, she coordinated Cal Poly’s Design & Dev Hackathon, bringing together 100+ Cal Poly students from disciplines across the university. The students worked in teams to design apps and/or websites over a 12-hour period. The Design & Dev Hackathon is designed to pool creativity and foster the entrepreneurial spirit. 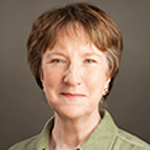 In 2006, Ms Donegan was honored with the Electronic Document Systems Foundation (EDSF) Educator of the Year award for her contributions to educational efforts in the advancement of printing, document management, and communications. She has spoken at conferences in Chicago, Las Vegas, San Diego, San Francisco, Seattle, Portland and New York City on the issues of design and production. She has traveled to Germany and England to participate in major graphic arts events including DRUPA and HP Digital Publishing Initiative. Her award-winning book and publication design projects have been highly esteemed within the domestic and international graphic arts community. As the chair of Cal Poly’s Journalism Department, Mary Glick works with the department’s six full-time faculty, three staff members and more than 250 journalism majors to ensure that students are prepared to enter the rapidly changing world of news media and public relations. She began teaching journalism at California State University, Long Beach and was named Outstanding Journalism Educator by the California Newspaper Publishers Association. Mary held editorial positions for daily newspapers in Southern California and worked in marketing and public relations, first as Communications Director for Disneyland Hotel and later as a private communications consultant. She holds a bachelor’s degree in English from the State University of New York, College at Oswego, and a master’s in communications from California State University, Fullerton. Her work as a CIE Fellow revolves around the business operations that support the student-run Mustang News, KCPR-FM and Central Coast PRspectives. In addition, Mary has worked with other Fellows to create an Integrated Marketing Communications minor and is currently working with the CIE Innovation Sandbox staff to create an entrepreneurial workshop. Dr. Lynn Metcalf is Professor of Marketing in the Orfalea College of Business at California Polytechnic State University. She serves on the Academic Advisory Board for Cal Poly’s Center for Innovation & Entrepreneurship and is also CIE Senior Faculty Fellow. Dr. Metcalf is a consultant with the Cal Poly Small Business Development Center for Innovation and leads the Kauffman FastTrac Tech Venture program for community entrepreneurs. 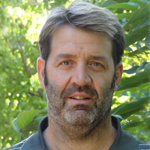 Dr. Metcalf has professional and academic experience in research methods. Over the past 10 years, she has worked with students on product development and launch projects for numerous client companies. Dr. Metcalf received her Ph.D. in Marketing from the University of South Carolina, a Masters in International Management from the Thunderbird School of Global Management and a Bachelor of Arts in Business from the University of Oregon. As a CIE Fellow, she spearheaded the development of the Integrated Marketing Communications minor with other Fellows and completed the study with the goal of revealing what’s needed to support students aspirations and startup culture on campus. Bob Crockett is a Professor of Biomedical Engineering and the Director of the General Engineering Program at Cal Poly. Dr. Crockett received his Ph.D. from the University of Arizona in Materials Science and Engineering. He holds an M.B.A. from Pepperdine University and a B.S. in Mechanical Engineering from University of California, Berkeley. Dr. Crockett is a specialist in technology development and commercialization of advanced materials and manufacturing processes. Prior to joining Cal Poly, he was the founder and President of Xeragen, Inc., a San Luis Obispo-based biotechnology startup company. In addition to his academic work in innovation and entrepreneurship, Dr. Crockett is currently involved in 4 technology-based startup companies. 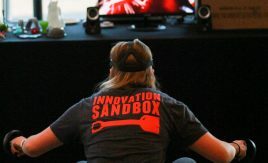 Dr. Crockett’s CIE Fellows activities focus on developing the Innovation Sandbox, a physical and programmatic environment where students of all academic levels and majors across campus can come together to explore and develop their early-stage ideas. Enrica Lovaglio Costello has been freelancing in the fields of multimedia, architecture and graphic design for the last twenty years. 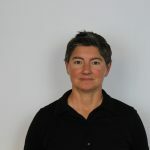 She is an Associate Professor in the Art and Design department at Cal Poly, specializing in media arts and technology, with an emphasis in visual narrative construction, creative content development, cross-disciplinary and cross-cultural models. 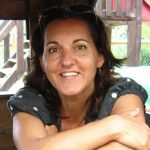 She practices an exploratory use of technology for storytelling and stimulates interdisciplinary efforts and collaborations to strengthen the understanding of global culture and develop innovative ideas for pedagogical practice. She has long been an advocate of art careers that hinge less on “work for others” vs. a more self-directed entrepreneurial approach that encompasses both expertise in business knowledge and alterations in mindset. She attempts to convey this entrepreneurial spirit to her students in every class. Umut’s experience covers architecture, visualization, urban design and design research in diverse environments. He holds a Bachelor of Architecture, a Master of Urban Design and a Ph.D. in Architecture. 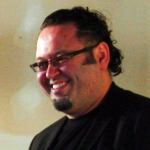 Umut teaches architectural design and urban design and studios at Cal Poly. 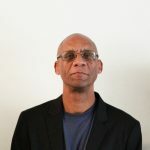 His research interests include architectural design, design of environments for research and development, computer applications in architectural and urban design, visualization and research methods in architectural and urban design. His research on the design of research and development spaces to support innovation processes has been published in a variety of journals. Umut has been a CIE Fellow since 2012 and continues to collaborate with CIE.
His CIE Faculty Fellow related activities to date have been focusing on bringing entrepreneurship topics into the design curriculum, with a focus on connecting design students with local designers who run their own businesses.